WONDERFUL 77.74 +/- ACRES IN CITY OF PRIOR LAKE, SEWER &AMP; WATER IS NEARBY, EXCELLENT LAND FOR P.U.D. DEVELOPMENT, LOCATED ON TAR ROAD WITH ALMOST ALL LAND BEING . . . 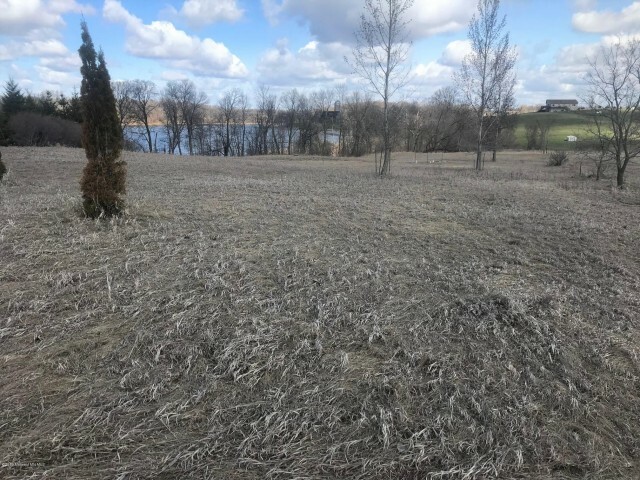 HERE IS YOUR OPPORTUNITY TO CREATE AN EXCELLENT LAKE FRONT DEVELOPMENT, ON A RECREATIONAL LAKE IN MIDDLE SCOTT COUNTY, JUST SOUTH OF PRIOR LAKE ON TAR ROAD, 3500+' OF . . .
174 ACRES - CURRENT USE IS STONERIDGE GOLF CLUB (18 HOLE CHAMPIONSHIP GOLF COURSE &AMP; EVENT CENTER) AND DANNY'S AT STONERIDGE (FULL-SERVICE, AWARD WINNING RESTAURANT . . .
PRIME RESIDENTIAL DEVELOPMENT LAND WITH OVER 1/2 MILE OF FRONTAGE ON TROTT BROOK. RAMSEY CITY SERVICES BROUGHT TO THE EDGE OF PROPERTY. BROOKSIDE ELEMENTARY OPENING FALL . . .
110 ACRES IN PRIME LAKE ELMO; LAND ABUTS AND ACCESS THROUGH THE LUXURY SANCTUARY DEVELOPMENT. LAND IS ALSO ACCESSIBLE FROM 50TH ST. N. (OFF STILLWATER BLVD.-HWY 5). . . .
PRIME DEVELOPMENT OPPORTUNITY IN CORCORAN. 68 ACRE PROPERTY WITH FANTASTIC LOCATION BORDERING MAPLE GROVE AND CLOSE TO NEW DEVELOPMENTS. LOCATED IN RURAL WAVERLY, MN AND A COMFORTABLE DISTANCE WEST OF THE TWIN CITIES METRO AREA AND A GREAT PLACE TO LIVE AND DO BUSINESS. AS AN OPTION TO THE REAL ESTATE THE . . .
LAND DEVELOPMENT OPPORTUNITY IN CITY OF MEDINA, WAYZATA SCHOOLS. SURROUNDED BY LUXURY NEW CONSTRUCTION. DO NOT ENTER THE PROPERTY. THIS IS AN INVESTMENT PROPERTY, THE . . .
71 PRIME DEVELOPMENT ACRES IN PRIOR LAKE ACROSS FROM SPRING LAKE. PRIOR LAKE SAVAGE SCHOOLS. PID INCLUDES MORE LAND THAN LISTED. 9 UNPLATTED BUT FINISHED LOTS WITH CITY . . .
FIRST TIME OFFERED IN 60 YEARS! STUNNING 2.1 AC POINT PROPERTY, NEARLY 400' OF HARD SANDY LAKE SHORE AT THE S.W. TIP OF CASCO POINT. GRADUAL SLOPE FROM STREET TO . . . INCREDIBLE ROLLING HILLS OFFER WALKOUT LOTS FOR THIS INVESTMENT/DEVELOPMENT PROPERTY. POTENTIAL $17,000/YR IN RENTING THE TILLABLE LAND. THIS ZONING ALLOWS FOR 3 ACRE . . .
44 ACRES OF PRIME LAND AVAILABLE FOR INDUSTRIAL DEVELOPMENT. LOCATED NEAR I-94, CR 81, HWY 101 AND HWY 610. SUB-DIVIDING POSSIBLE. CURRENT ZONING AGRICULTURAL 1 AND . . .
OPEN FOR DEVELOPMENT AND POSSIBLE SAND MINING. 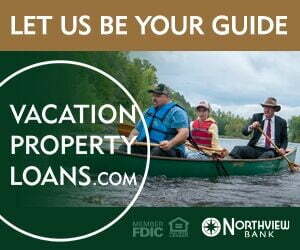 LOCATED ON THE ST. CROIX RIVER BLUFF! THIS AMAZING PRIVATE 40 ACRES BOASTS PANORAMIC VIEWS, WOODS, AND OPEN SPACES. A PERFECT MIX OF WILDFLOWERS, PRAIRIE, AND PEACEFUL . . .
TANAGER ESTATES - NEW EXCLUSIVE DEVELOPMENT. THIS SITE OFFERS THE ULTIMATE IN PRIVACY AND IS AVAILABLE FOR A SOPHISTICATED BUYER WHO HAS A PASSION FOR A BEAUTIFUL . . .
AMAZING INVESTMENT OPPORTUNITY WITH GREAT CASH FLOW! BEAUTIFUL 76 ACRES OF RAW LAND WITH 2 SINGLE FAMILY HOMES &AMP; 2 DETACHED GARAGES. 46 TILLABLE ACRES. AN . . . CONVENIENT LOCATION JUST OFF HWY 169. PROPERTY IS GUIDED FOR LIGHT INDUSTRIAL. SEWER &AMP; WATER ARE AT THE PROPERTY LINE. GREAT ACCESS TO HWY 169, HWY 212 AND SOUTH TO . . . THERE IS CURRENTLY A SINGLE FAMILY HOUSE ON THE PROPERTY WITH A RENTER. THE PROPERTY IS GUIDED FOR HIGH DENSITY RESIDENTIAL ( HDR ) MEANING GREATER THAN 9 UNITS PER . . .
BEAUTIFUL SECLUDED ACREAGE WITH ROLLING HILLS, WOODLANDS, TILLABLE ACREAGE, WETLANDS AND WILDLIFE MAKES THIS PROPERTY AN EXCLUSIVE HOMESTEAD WITH FUTURE DEVELOPMENT . . .
***PRIME LOCATION*** MEDINA! 58 SCENIC ACRES. ROLLING TOPOGRAPHY W/MATURE GROVE OF TREES. DELANO SCHOOL DISTRICT. BUILD A CLOSE-IN PRIVATE RETREAT. FOR . . .
PARADISE FOUND! AMAZING ONCE IN A LIFETIME OPPORTUNITY TO OWN AN UNBELIEVABLE PIECE OF REAL ESTATE. 172 ACRES OF ROLLING SCENIC LAND WITH PONDS TRAILS AND APPROX. 745 . . .
RARE PIECE OF PROPERTY OVERLOOKING THE ST. CROIX RIVER VALLEY WITH OVER 10,000 PINE 30' - 40' PINE TREES. THIS PROPERTY IS THE HIGHEST POINT ON THAT RIDGE FOR SEVERAL . . .
PRIME DEVELOPMENT OPPORTUNITY IN GREAT LOCATION! 124 ACRES WITH 13 DEVELOPMENT RESIDENTIAL RIGHTS. MINIMUM LOT SIZE IN THIS DISTRICT IS 2 ACRES. PROPERTY IS CURRENTLY . . . THE PERFECT EQUESTRIAN SETTING IN THE STILLWATER COUNTRYSIDE! BARN WITH 17 BOX STALLS WITH AUTOWATERING SYSTEM, INDOOR RIDING ARENA, WASH BAY, TACK ROOM, ½ BATH, HEATED . . . WONDERFUL OPPORTUNITY TO BUILD YOUR DREAM HOME ON LAKE MINNETONKA! BRING YOUR OWN BUILDER AND PLANS. LOT MEASURES APPROXIMATELY 256' OF SHORELINE ON SMITHTOWN BAY. . . .
PROPERTY BANK OWNED. 212 FABULOUS ACRES AVAILABLE AND READY FOR DEVELOPMENT. BRING ALL IDEAS TO SELLER'S AGENT. MUCH OF THE PRELIMINARY PLAT IS DONE AND UTILITIES HAVE . . .
RARE OPPORTUNITY TO OWN 50+ ACRES. CLOSE PROXIMITY TO LANDSCAPE ARBORETUM. LAND CAN BE DEVELOPED INTO 5 POTENTIAL HOME SITES, OR HAVE YOUR DREAM ESTATE. EASTERN CARVER . . . ENJOY THE MATURE TREES, WETLAND VIEWS AND 25+ ACRES OF PRIVACY. FABULOUS DEVELOPMENT OPPORTUNITY FOR 28-30 SINGLE FAMILY HOMES OR NICE SIZED VILLAS! WATER AND SEWER IN . . .
PREMIER BUILDING SITE IN EDINA, LOCATED IN THE HIGHLY SOUGHT AFTER ROLLING GREEN NEIGHBORHOOD. FANTASTIC OPPORTUNITY TO CUSTOM BUILD YOUR DREAM HOME ON A BEAUTIFUL . . .
GREAT DEVELOPMENT POTENTIAL. ORDERLY ANNEXATION AREA OF CARVER. CONVENIENT LOCATION - CLOSE TO CARVER ELEMENTARY SCHOOL &AMP; HWY 212. CALL LISTERS FOR DETAILS. SEWER &AMP; WATER IS AVAILABLE AT THE PROPERTY! THE ASSESSMENTS DUE THE CITY OF DAYTON FOR THE NEW STREET, SEWER &AMP; WATER IMPROVEMENTS, WILL BE ASSUMED BY THE NEW . . .
3.40 ACRES FOR SALE WITH MULTIPLE PAD SITES AVAILABLE. EXCELLENT LOCATION OFF THE INTERSECTION OF HWY 101 AND NORTHDALE BLVD. TRAFFIC COUNTS OF 35,000+ ON HWY 101. PAD . . . EXTRAORDINARY PRIVATE 2-ACRE LAKE MINNETONKA SITE. APPROX. 440FT OF LAKESHORE ON A GRADUAL SLOPING POINT. BREATHTAKING 270 DEGREE VIEWS OF NORTH ARM, GRADE A QUALITY . . . HUGE 728 FEET OF LAKE MINNETONKA RIP RAPPED SHORELINE. BIG LAKESHORE ON A BIG LOT IN A GRAND NEIGHBORHOOD FOR YOUR GRAND HOME! BUILD YOUR DREAM ON LAKE MINNETONKA. ENTER . . .
LAKEFRONT FOOTAGE ON ONEKA LAKE! PRIME DEVELOPMENT OPPORTUNITY IN HIGHLY-DESIRABLE HUGO, CURRENTLY ZONED RESIDENTAL &AMP; AGRICULTURE. HOUSE AND OUTBUILDINGS SOLD AS-IS. EXTREMELY RARE OPPORTUNITY, PREMIER SOUTH FACING LAKE OF THE ISLES LOT WITH PICTURESQUE VIEWS, PRIVACY HEDGING, FLAT GROUNDS AND MATURE LANDSCAPED SURROUNDINGS. STEPS TO . . .
LAST AVAILABLE BUILD SITE ON PALMER POINTE. ENJOY BREATH-TAKING SUNSETS AND THE BEST LAKE LIVING HAS TO OFFER; THIS FANTASTIC NORTHWEST FACING LAKE MINNETONKA LAKE LOT . . .